My blogging and reading for this year did slow down a bit. I read 58 books this year (last year it was 81), and I also changed up my blogging schedule from four posts a week to three near the end of the year. Although next year, I might bring it back up to four. There were multiple things I think that led to this - new projects that I got into - like being in the Truthwitch Street Team. It was totally worth it though. I got to know some truly wonderful bloggers, and it was fun competing for the prizes, and just being a part of the Truthwitch-y community. I'm really going to miss my Water Clan shenanigans, but I know I'll keep in touch with the Waterwitch Babes for a long time. In January, I started this challenge to watch all 25 of AFI's Greatest Musicals, and I'm so happy to say that I finished! Just barely though - I watched the number one musical on December 20th. As part of the challenge though, I wanted to take another look at AFI's list and put them in my own order of what I think was the best, now that I've seen them all. The first five and the last five were the easiest to order for me - but my choices are really going off on personal preferences. Although I really think The Sound of Music is just the best musical - it has so much going for it! I feel like I have a better appreciation for movie musicals after this project too. 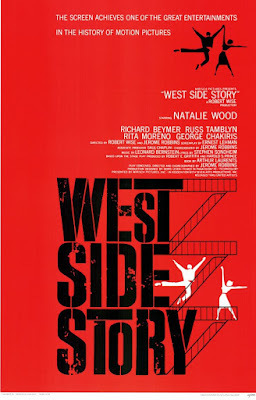 Before this, I mostly just stuck with the films that I felt like I would love, so this challenge has made me branch out with the benefit that I appreciate more some musicals that I didn't think was that great before, like "West Side Story" and "Grease". However I've also found out "Cabaret" is still disappointing, and I don't even want to remember "All That Jazz". I'm most grateful though that this challenge has given me one new musical song that is just an absolute favorite of mine now - "Can't Help Lovin Dat Man" from Show Boat. I still have it on my favorites playlist! Next year I plan to do another version of this challenge - with films that I'm picking mostly because I haven't seen them yet, or because they deserve recognition. I'll be posting about it sometime next month, so watch out for that! In Movie Musical Challenge, I'm watching all 25 picks for AFI's Greatest musicals starting from the bottom. 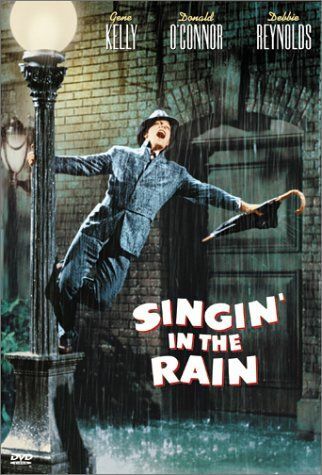 Number 1 is the 1952 film Singin' in the Rain starring Gene Kelly, Debbie Reynolds and Donald O'Connor. I made it to through the list! And I had this delightful film to reward me. I am very happy that Singin' in the Rain made the top of the AFI list, because it is such a wonderful musical movie. The numbers are catchy, the dancing is excellent, and the story is full of humor and romance. And it has Gene Kelly. :D I love this film, so let's explore why it made the top spot. It's interesting that a film with quite a simple story is just so good. It's a look at the move from silent film to talking pictures, it's a romance between a movie star and a budding actress, and it's a light-hearted romp with three very likable characters. The story may be simple, but the script is clever and entertaining from the first scenes. The montage of Don Lockwood and his friend Cosmo's childhood which paints a very different story to how Don is telling it, is so humorous and wonderfully done. And it exudes character. You understand them completely from just the first few minutes. Even with Lina Lamont, who doesn't do too much right away nor does she speak, but you know what kind of person she is from just one scene. In Movie Musical Challenge, I'm watching all 25 picks for AFI's Greatest musicals starting from the bottom. Number 2 is the 1961 film West Side Story starring Natalie Wood and Richard Beymer. I tried to watch West Side Story once upon a time, and it did not go well. I gave up when it got to the school dance scene. For some reason, I was just so bored. But now, with watching it for Movie Musical Challenge, I don't know if it's because I had to watch it, or because I have more of an appreciation for movie musicals having watched the previous 23 films on the list - but I watched the whole thing, and found it engrossing! It's a complete turnaround for me. As I'm sure most people know, the story is a take on Romeo and Juliet, and with that, I was interested in seeing the parallels, and in how they would adapt certain things. Especially Juliet's "death". I mean Maria's. For such a different setting and character background, the story was very true to Shakespeare's and I really appreciated how well written this musical is. It's very wordy, and the lyrics are beautiful. The film is remarkable in other ways too. The style is very unique to the story - with the choreography being so integral to the look and feel, and the aesthetic of the set is sometimes true to the setting of New York City, but sometimes feels very stagey and unrealistic. And there's this flashing of red at times that is a little disconcerting. There is also an interesting blend of dance styles and music genres to makes this film especially striking. I do have to say that I don't love this film. It's very well done, it has an excellent score, and a dynamic plot - but I just can't get over how sad it all is, and how pointless. But the sadder thing perhaps, is just how much I can understand why the characters acted the way they did, and how hard it was for them to change things, and change their lives. The ending was so tragic, and I feel like I can never love this film because it is so utterly heartbreaking. However, for my favorite scene in the movie, it is probably the "America" song scene, but my favorite song is "Somewhere." The actors are amazing, and everything just works with this musical. There is also a very timely, and still relatable theme of cultural prejudice and racism, that was kind of surprising to see, but only because it felt so contemporary, and it's chilling to see how much hasn't changed about that. The way the police officers favored the white gang was particularly disturbing. Perhaps there are some numbers that I wouldn't mind if the story dropped, but other than that I really can't fault this movie. I can definitely understand why it's so close to the top. Young Cathy is eager for her parents to come home from their trip abroad. On the day they are supposed to return, the housekeeper, who is caring for Cathy, tries to distract her with other things. It seems her parents aren't home yet. Time goes by, but Cathy is still waiting for her parents. The plane that her parents were on, went missing in a storm. This is a Christmas Suspense story, so the question of whether or not the parents are dead, is not even an issue, since of course Suspense wouldn't put out such a depressing episode on Christmas! It was just a matter of time til the parents showed up. So while this is a sweet story, I feel like there is very little substance to it - it's just a little sad for the girl waiting. 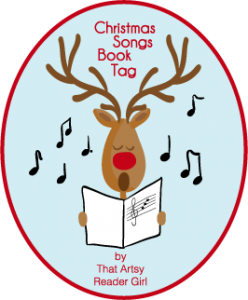 There is a nice reading of the "The Night Before Christmas" in the story though, to get one properly in the holiday mood! Merry Christmas everyone! I hope you are having a lovely day with family and friends. And I wish everyone a very Happy New Year! Thank you for being wonderful and brilliant blogger friends. When I saw this book tag on Quinn's Book Nook, I knew it would be perfect for my Christmas day post. This tag was created by Jana at The Artsy Reader Girl. 1. "All I Want for Christmas Is You" - Name your favorite bookish couple. Making Waves is a weekly question feature created by the Waterwitch Babes (part of Susan Dennard's Truthwitch Street Team). Every Thursday, we’ll have a fun question that all are welcome to answer on their blog. The questions will be random and/or relate to the upcoming book Truthwitch by Susan Dennard. A linky is provided so that everyone can link up their post and participate in the fun! To participate we do ask that you use the Making Waves banner in your post and link back to the Waterwitch Babes blog. Get the high-res, downloadable file here! As much as I wanted to read Winter right after I finished Cress, reading about Levana's backstory was very interesting, and did help flesh out the world of the Lunar Chronicles much more. 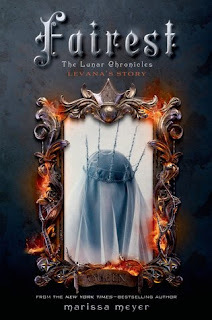 It's hard to think that Levana from what we have come to know about her in the previous three books, could be in any way sympathetic, but the author does give that to her in Fairest. But, it's still true to the character we have seen now, because Levana is not a complete innocent, and her skewed morality becomes increasingly off-kilter as the story proceeds. It's a fascinating character study, and a completely believable origin story for a villain. Fairest also introduces a character I absolutely loved - Evret Hayle. Of course Levana also loved him, and that love was not conducive to his health at all. I thought that slow downward spiral into which Levana's obsession takes her life as well as his, was just so well written, and ultimately tragic because it did seem that Levana and Evret had good intentions. It just went so wrong. Evret was a wonderful character though - so honorable, noble and kind. Despite what Levana puts him through. This is a short story, but so much detail was packed into it - finding out more about Levana's family, about what happened that led to Cinder's story in the first book, and about how Winter must have grown up, just made this series richer, and I'm sure will make the last book an even better reading experience. Jane and Vincent have to be one of my favorite fictional couples EVER. There's something about the two of them together that makes me all melty inside. They are just perfect. And in this book, their relationship takes a strain but that only makes them stronger. It's wonderful! The story has the premise of Jane Austen meets Ocean's Eleven. 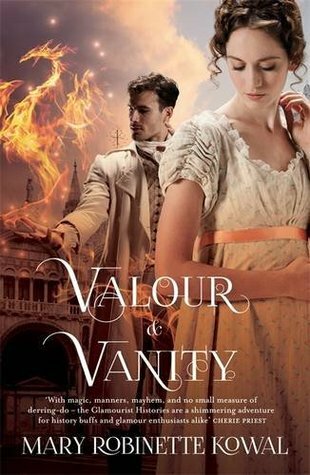 The Regency romance aspect recedes into the background when the Vincents are taken advantage of by some unscrupulous thieves and they have to find a way to get back their money. The story takes an unexpected darker turn when the Vincents are faced with poverty and hardship, and I have to say it was difficult to read through that section. I thought it was also painful to see Vincent's pride take such a blow and how difficult it was for him to bear it. But with Jane's help he was able to overcome his depression. It was truly glorious to see how their hardship made them a closer and more loving couple. With the darker turn the story took, it just made the 'heist' near the end even more satisfying. It had all the ups and downs and suspenseful moments to make it a perfectly unputodownable read. I really can not get enough of how varied this series is - and this installment was full of excitement and drama. It's a fantastic continuation of Jane and Vincent's relationship, a thrilling adventure read, and completely satisfying. So far, this is my favorite book in the series! I literally found out that the U.K. TV station called ITV was doing a live TV special of The Sound of Music the day before it aired! So yesterday, I set up my tunnelbear and watched through the ITV player and absolutely loved it! How is it that England does things better? Sooo... my initial impression when watching it was of the set design. Obviously that promo image I have illustrating this post, does not do it justice. It was actually hard sometimes to believe that this was a live production. The set design and the lighting were beautiful. It looked very natural at times. With the economy of sets too, it still seemed believable that we were in different buildings or outside. They didn't really have a good hillside set-piece though, but then again that would have been very difficult. 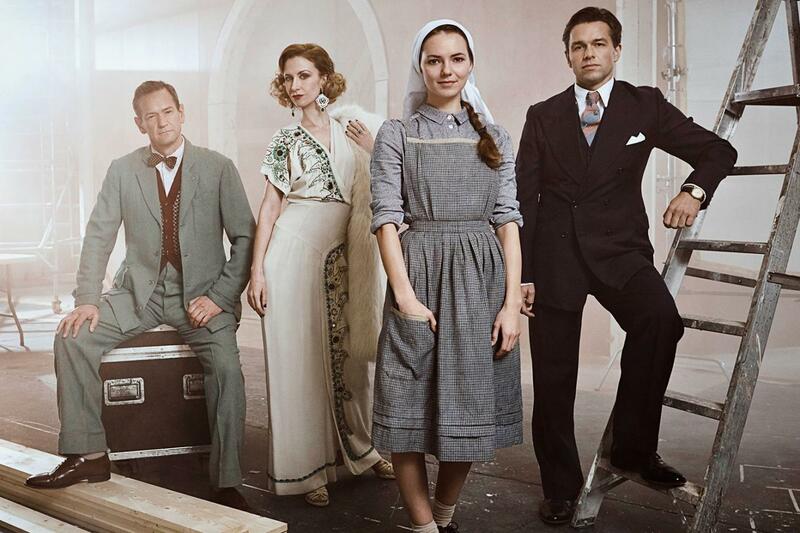 It was miles and miles above what the NBC live version of The Sound of Music achieved. "The Leading Citizen of Pratt County"
A man is kicked out of his friend's car because he gambled away their money, and he winds up in the middle of nowhere - aka Pratt County. He's mostly intent just on getting out, but when he hears that the city of Prattsville once raised $50,000 to divert water to their town, but had to cancel the plan because it would have dried up the valley, he gets and idea. He becomes Professor Witherspoon, a geology surveyor, and ready to see if the river is ready to be diverted so many years later. His con job becomes difficult though, when the son of one of the families comes home from college. The title of this episode just screams interesting, right? /sarcasm. This is more of a light-hearted Suspense story, with a good old twist thrown in at the end. It is interesting that it is given away so early that Witherspoon makes his con successful since he's the 'leading citizen', so the real interest in the story is twist. And I think it's a satisfying one. Satisfying because everything works out for the best, and because it was completely unexpected. Making Waves (14) with a Giveaway! Question 14: Happy Holidays! Feature something holiday and Truthwitch themed! My thoughts on this novel are lukewarm, even though it has a good message, and some strong, likable characters. 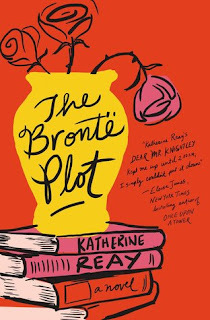 The wise, regretful Helen was delightful as a character and I could definitely see the parallels between her and Helen Burns from Jane Eyre, as Lucy's guide to self-discovery. The shop owner Sid, is also a great secondary character - quirky, talented and nurturing, and I think his own story and perspective would make a great novel. The main character Lucy is interesting. She is most definitely a flawed character, with something to learn during the course of the narrative, but I found it hard to really empathize with her. She does something that she knows is wrong, and I found it difficult to understand why she didn't feel the need to make things right immediately, especially when she loses someone close to her because of it. It's her main journey in the story, and it goes back to family and understanding her past, but I thought it was all a bit convoluted for her to find it in herself to do the right thing. The pace of the story felt slow to me as well (perhaps because I thought Lucy moved too slowly to make some of her realizations) and that affected my enjoyment of the novel considerably. I often wanted to hurry things along. 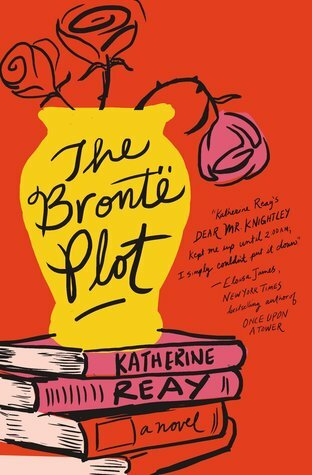 Although the title of the book references the Brontës, there are many literary references in the story, of different authors, and while I can see that the Brontë spirit is what ultimately inspires Lucy, I think the fact that the novel incorporates such love of literature is what makes it more memorable to a reader who delights in those kinds of references. Lucy obviously loves books, and that is also very appealing to me. The setting of the novel moves from Chicago to London and Haworth, and the armchair travel aspect of the story enlivens it a little, especially since I've been to London and Haworth and love those places. The story is a quiet drama of self-discovery, repentance and redemption, and I was happy with the way the story ended even if it took awhile for Lucy to truly understand her mistakes. Mrs. Josie Archer is happily married to her new husband Steven. Josie is recently widowed - her husband died suddenly, and not long after Josie married his best friend - Steven. One morning, reporters descend on Mrs. Archer née Mead because she has just won a major sweepstakes. She was unaware that a ticket was bought, so it must have been by her husband in her name. But she has no idea where the ticket is because she hasn't come across it and she went through all his things. Oh hold on, she has an idea - it must have been in his new blue suit. Which he was buried in. The story is an interesting blend of dark humor and suspense - since Josie's first husband is dug up, and Josie is not as upset about it as she should have been. There's a lot of rationalization that her dead husband would have wanted her to have that money. 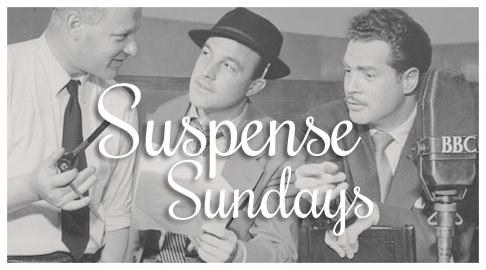 But the suspense comes in when he is dug up and there is a surprise she didn't expect. This was a great episode - Agnes Moorehead in particular is very memorable as Josie. Question 13: Cover love! What do you love about any or all the Truthwitch covers so far? There have been three Truthwitch covers revealed so far. The first one in the image above is the U.S. one, the second image is the U.K. version, and the last one is sadly only for the U.K. ARC. The U.S. version: I think for marketing purposes, this is the best cover for the book (also probably my favorite). I love the way the girl is perched on the rock, with two swords, just waiting for someone to make their move. It's a powerful stance, made even more so, by the arcing water around her that hints at magic. There is also the ship in the background, and the foreboding sky that gives so much atmosphere to the cover. The U.K. version: The one thing I love about this cover is the font - it is so pretty for the U.K. version. I think the gold and the blue is striking too, although silver and blue look more harmonious. The U.K. ARC: I'm a waterwitch on the Truthwitch street team, and this cover features the symbol that represents water, so I very much love that. The cover is simple but striking and the font works even better in that blue color in my opinion. Also with the flourishes because it looks like waves of water. I really wish the U.K. book had this cover actually! 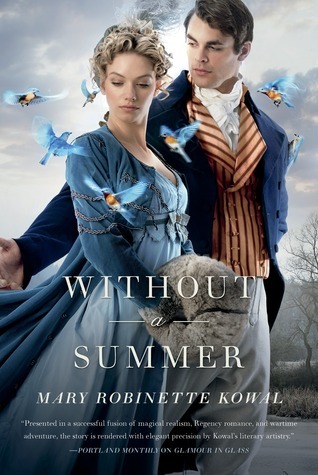 Up-and-coming fantasist Mary Robinette Kowal enchanted fans with award-winning short stories and beloved novels featuring Regency pair Jane Ellsworth and Vincent. In Without a Summer the master glamourists return home, but in a world where magic is real, nothing—even the domestic sphere—is quite what it seems. Jane and Vincent go to Long Parkmeade to spend time with Jane’s family, but quickly turn restless. The year is unseasonably cold. No one wants to be outside and Mr. Ellsworth is concerned by the harvest, since a bad one may imperil Melody’s dowry. And Melody has concerns of her own, given the inadequate selection of eligible bachelors. When Jane and Vincent receive a commission from a prominent family in London, they decide to take it, and take Melody with them. They hope the change of scenery will do her good and her marriage prospects—and mood—will be brighter in London. Once there, talk is of nothing but the crop failures caused by the cold and increased unemployment of the coldmongers, which have provoked riots in several cities to the north. With each passing day, it’s more difficult to avoid getting embroiled in the intrigue, none of which really helps Melody’s chances for romance. It’s not long before Jane and Vincent realize that in addition to getting Melody to the church on time, they must take on one small task: solving a crisis of international proportions. In the first book of this series, I was initially drawn to Jane because she was such a logical, practical thinker, and not afraid to do what needed to be done. In this book, that aspect of her personality gets lost a little. I suppose it does make sense if you think of how she is now in London which is a more progressive place than her home village, but I feel like Jane makes way too many mistakes in this story that had me a little disappointed in her. But the plot of this book made up for a lot of that. Unexpectedly, a truly despicable villain is introduced, there is a court room drama, and the story gets darker when things take a turn for the worse for Jane and Vincent. This series really is leaving behind the Austen atmosphere, as revolution, imprisonment, prejudice and racism become important parts of the story. And that addition of realism and social justice just makes the world and the character-building stronger. Jane and Vincent are growing as characters and as a married couple, and to see how they deal with the issues that come up made me more invested in their dynamic (as if I didn't love them enough as a couple!) and in their plight as they both face some serious consequences to their actions. The story does take awhile to really get going, but the ending is fast-paced, exciting and suspenseful. Because of the initial slow pacing and my disappointment at times with Jane, I feel like this is not as strong of a novel as the previous two, but there are some great elements, some truly wonderful interactions between Jane and Vincent, and the opportunity to learn more about Vincent and his family. It's interesting how gradually the reader is getting to know and understand Vincent more with each book. This series is the best! Thoughts on The Wiz Live! 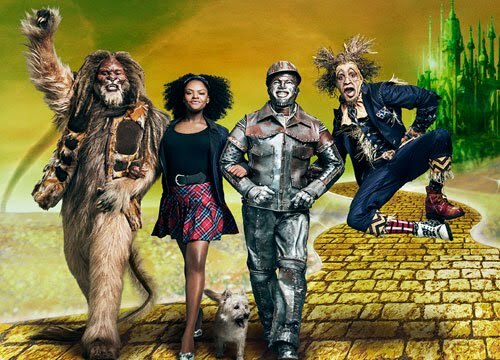 Last week, NBC presented it's third live musical with The Wiz, starring Shanice Williams, David Alan Grier, Elijah Kelley, and Ne-Yo. Compared to last year's presentation of Peter Pan, there was quite a few differences in the way this musical was made. And the biggest difference for me, was the fact that everyone in the show was talented enough to hold their own in the acting and singing departments. Wow, it can be done! Because of that, there was no tongue-in-cheek aspect with the production, where they were self-aware that it was not very good. And while it is fun to sort of laugh along with how bad it can be, I am much happier with admiring the performances of the actors, and of how they managed to bring these characters to life. Another difference was in the set, which felt more like a stage - giant screens in the back showed the Kansas landscape, the tornado, and the fantastical landscapes of Oz and there was other stylized staging. In a way it seems like they might have given the show a smaller budget this year, but also it works because building such fantastical settings might have been too overwhelming. But the show definitely felt more like a live stage musical. A husband and wife board a train for an overnight trip to Chicago. Mrs. Thornton privately warns the porter that if her husband does anything out of the ordinary to let her know because he is ... insane. But the listener of the show can see that there is something else going on between the Thorntons, and perhaps Mr. Thornton's wife is not so devoted to him. This episode is pretty unpredictable in the way it progresses. Mrs. Thornton is very suspicious of course, but there is something odd about Mr. Thornton as well. 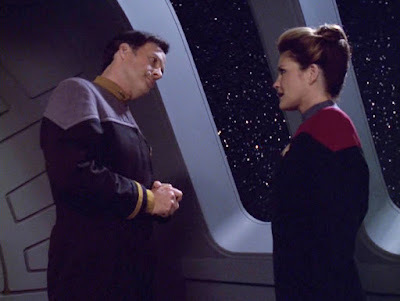 This episode was also interesting for how it portrayed the bickering Thorntons - they were outwardly overly polite with each other, but there's always this undercurrent of threat in the way they talk to each other. It's very well done. As is the twist in the end! One of the activities we were asked to do for the Truthwitch street team was to make something about Truthwitch, and I decided to go with creating a Truthwitch-related Pinterest board, because Pinterest is always fun. Well except when every other pin in my feed is one of their 'related pins', and I keep deleting and saying I don't want them, but it does no good because they keep showing up.... Anyways. Actually Pinterest is great, and I had fun putting together these images that I feel represent Iseult - one of the main characters from Truthwitch. And a character I really identified with for her practical, logical nature and her wanting to feel like she belongs. Some of my pins also represents the novel's settings, which are very vivid in my mind, and I'm glad to have found some great pictures to represent them. Follow Bookish Whimsy's board Iseult det Midenzi on Pinterest. Cover love! What do you love about any or all the Truthwitch covers so far? Voyager! I'm still watching Star Trek, even if I haven't done an update on the season for awhile. I did finish the sixth season of Voyager awhile ago, and am just now getting around to writing my recap for it. Which I really shouldn't do since my memory is a little hazy on overall thoughts on the season. Looking at my list of episodes though, I'm reminded of one thing that I absolutely loved about this season - Michael Sullivan. But I'll gush more about him when I get to talking about his episode. Lieutenant Barclay is working hard to find a way to bring Voyager home, and with the help of his trusty Voyager holodeck program and the counsel of Troi, he's working through a solution. There's so many things to love about this episode - the appearance of Barclay (who's just so lovable!) and Troi, the altered view of the Voyager crew as seen through Barclay's holodeck program, and the fact that we get more of a glimpse into what it's like being a part of Starfleet, outside of the missions into space. I really like that they included Tom Paris's father as well - so the audience can understand more about Tom. Although it does seem like they are softening the antagonism between Tom and his father - I really can't see why Tom found him so insufferable.